In order to come to a balanced and informed decision about vaccinating your children it’s useful to at least be aware that there is a real debate about both the effectiveness and safety of vaccination practice. This article provides an overview of the content that you will find contained within this free eBook “How do parents with unvaccinated children sleep at night”. This eBook is a short introduction into the subject of vaccines, vaccine side effects, vaccination philosophy and its practical application. It attempts to present both sides of the argument so that you the parent can decide whether to look into the subject in any more detail. We hope this information contributes positively towards the health and wellbeing of your family. Our children are sicker today than they were 50 years ago! And yet to even question the safety of vaccinations and whether they work in today’s modern healthcare world is very challenging indeed. 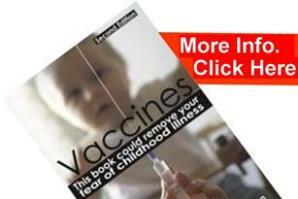 Almost everyone believes that vaccines have been instrumental in bringing down disease rates around the world. How successful have vaccines been at reducing rates of disease? And yet in spite of all this pressure a growing percentage of parents are deciding their children’s health will be better served by not vaccinating. What do these parents know that allows them to sleep at night with “unprotected” children? We know that the vast majority of parents do agree to vaccinate their children because they believe their doctors and health professionals understand better than them the balance of the risks of vaccinating versus the benefits of being apparently “unprotected” from these illnesses. However you may be shocked to know that most healthcare professionals are unaware of some of the most basic arguments which question the safety and effectiveness of vaccines eg. Parents that do question the safety of vaccines or the need to have them so soon after their babies are born often feel they are placed under enormous pressure to vaccinate. The pressure is applied usually before they have had time to adjust to being a new parent and certainly before they have had time to come to a considered opinion about vaccinations. Is it any wonder that most parents simply give in to the pressure to vaccinate when you consider the many scare stories in the press about the problems associated with lower than usual uptakes of vaccine schedules and the epidemics of childhood illnesses that are threatening to make every unprotected child a frightening health statistic, not to mention the non expert, expert opinions from our nearest and dearest. To achieve this we bring together the disciplines of biomedical science and holistic medicine to help interpret the available research into the health impact of lifestyle issues, foods, toxins, drugs and vaccines. 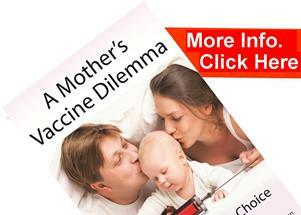 If you want more balanced answers to any of the questions you now have about vaccines then you will certainly benefit from having access to this eBook. For a limited period this eBook is being offered for free to parents like you that may be finding it difficult to get access to the information you need to feel confident about making one of the most important health decisions for your children.